Australia – Playing bars and clubs in their native Des Moines, Iowa in the 1990s, Stone Sour got their name from a popular drink that mixed one-part whiskey with one-part orange juice and a splash of sour mix. 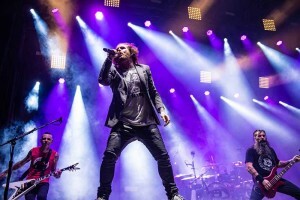 In the years that followed, the Grammy-nominated multi-platinum band has attracted a global fan base with its own cocktail mix of metal and alternate rock sounds. Although its music is impossible to fit into any one category, the band’s performance revolves around a simple concept: rock hard, rock loud and be ferocious. This non-stop intensity led Scott Warner to feature the high-output Nexus Aw 7x7 in the first light show he designed for Stone Sour in 2017. 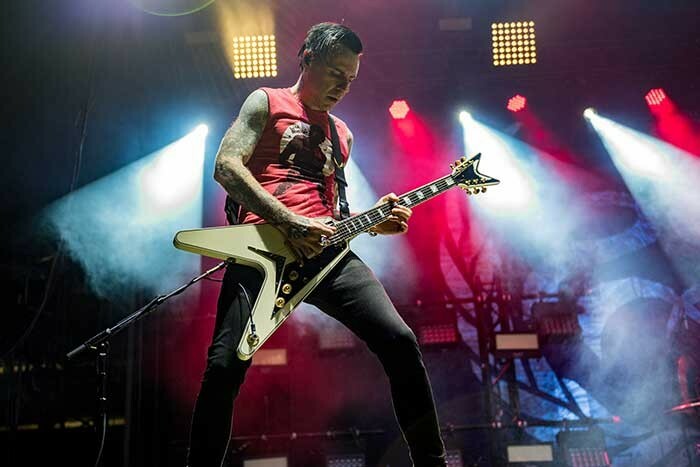 This December, he went back to the same fiery well again, when specified the warm white LED panels with narrowly focused beams for his client’s co-headline appearance with The Offspring at Australia’s Good Things Festival. The Good Things Festival takes place on consecutive days in three cities: Sydney, Melbourne and Brisbane. A leading hard rock and metal event in Australia, the festival draws passionately dedicated fans that come seeking intense sounds and sights. Stone Sour and Warner didn’t disappoint. Along with the band’s heavy guitar riffs, double bass drums and growling vocals by frontman Corey Taylor was a bright, searing and punchy light show with plenty of audience lighting from the Nexus Aw 7x7 fixtures.